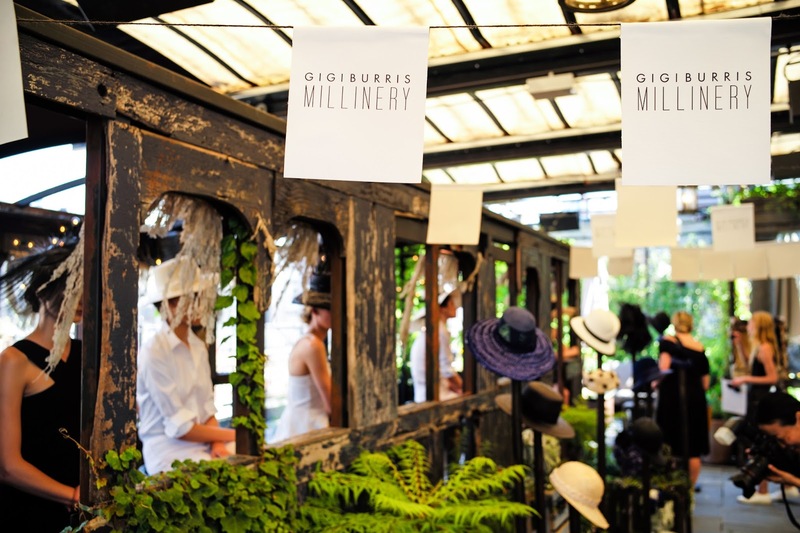 Gallow Green was the perfect setting of whimsy and garden fantasy for Gigi Burris' new Spring/Summer 2015 "Millinery" Collection. If you haven't been to Gallow Green its a must see, it feels like you've been transported out of New York and back in time. As you can see there were plenty of styles for hat lovers and a few hair accessories for those that are less bold (like myself). 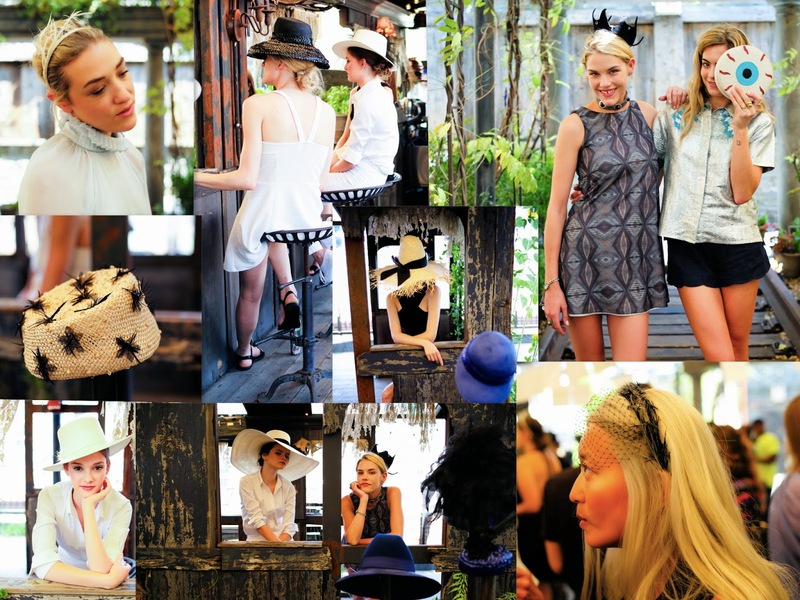 The collection was stunning and left me making plans for the next Kentucky Derby hat that I will need next year. For the SS15 season Burris was drawn to the shade of blue, as seen in Yves Klein’s Anthropometries. Inspiration was also found in the linear movement seen in Robert Mapplethorpe's floral photography and sea urchins. 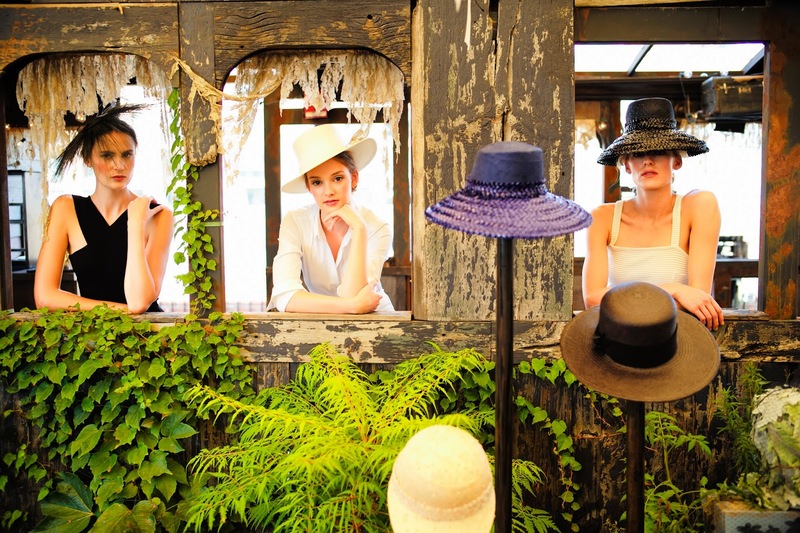 Both hold a sense of tension and delicate texture that the milliner references in the SS15 collection. 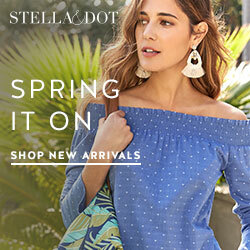 A palette of black, natural straw, blue and white is met with the elements of sewn shiny Racello Braids, Swiss Star bright straw, ostrich poofs and peacock flue. 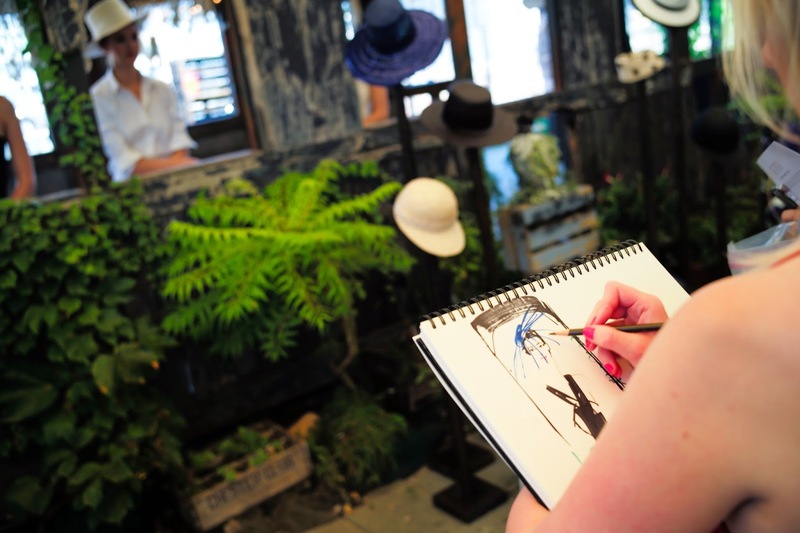 The SS15 Gigi Burris Millinery collection has a sense of easy elegance and irreverence to it; an emotional reference sourced from 1950's beach photographs and illustrated by the milliner through her whimsical couture feather work fascinators, and wide brimmed straw hats.